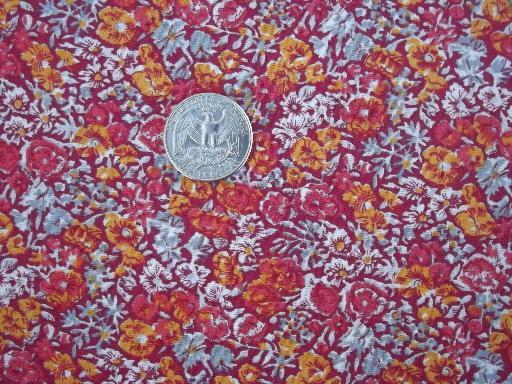 44" wide tiny print floral cotton fabric, 70s, early 80s? This piece is 3 yards. This is a little rough or stiff, or both? It's never been laundered, and we'd guess it'll improve with pre-shrinking to soften it up a bit. The colors are lovely, sunset shades of red and orange with tumbleweed green and off-white.